Your fastest and most accurate translation service in Abu Dhabi to increase your business beyond borders. Our translation services Abu Dhabi is popular for accuracy and fast turnaround. We can say this because our team is comprised of professional linguists who are experts in their fields, mother tongue languages and content categories. 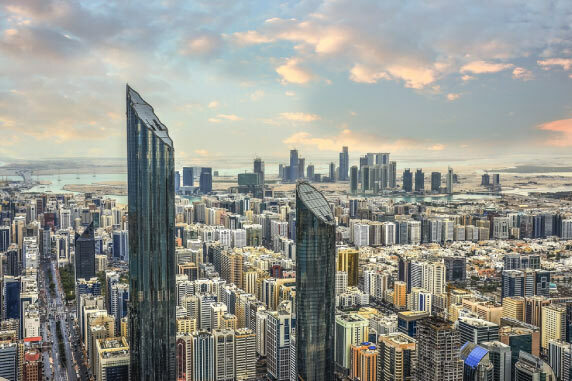 We have translated thousands of words in more than 100 languages and helped hundreds of organizations as well as individuals who were looking to expand operations and relationships within or beyond Abu Dhabi. With our services you get unmatched quality, affordable and timely translation services Abu Dhabi that will boost your business’ investment. If you want a strategic edge in your business, get on board with us! Our strict quality control process ensures that we product consistent translations every time. We also have modern software like Translation Memory installed in our systems that help us get you the most accurate translation quality possible. Having expert translators on board lets us offer translations for technical, legal and commercial documents that we can customize for software, web, mobile and all sorts of marketing materials or mediums that include website localization. Translation is not limited to documents. With the growing demand of mediums in globalization to reach out to the audience, we cater to all types of localization and translation services in Abu Dhabi. Want to make the perfect first impression all over the world? We can help! Apart from our translation services Abu Dhabi, we help businesses reach global audience and increase sales through website localization. This way you can engage with a wider network of audience worldwide, encourage purchases and develop your brand’s community. Our website localization service helps customers interact with your website in a meaningful way as the translated text is in their own cultural context. This is the era of internet. The whole world is connected. Thus, we offer localization services for all your digital content including videos, mobile apps, software, multimedia, illustrations, eBooks and more. We have experts that engineer and work with all video and audio formats such as Flash, HTML5 and other media files when translating and localizing it for the intended country. Have a tutorial video that needs to be translated and localized for audience in Abu Dhabi? We can do that for you! eBooks, blogs, banners, web copy and much more. Our website translation service gives you only the highest quality of translation that clicks with your audience while keeping your content’s originality. Apart from translation services Abu Dhabi, we offer Multilingual DTP services that comprise of a team of highly skilled desktop publishers, translators and graphic designers. We create online and print-ready localized materials for you which reflect the meaning of the original. We optimize your documents so that they align with the languages and typographical standards of the target country. Our team makes sure that you are given the quality promised and deadlines are followed. With us, you can save time, cost and minimize administrative hassle with our DTP Services for content like brochures, product manuals, user guides, multimedia, online materials, presentation slides, and so on! With extensive experience in translation services Abu Dhabi, we understand that translation projects cannot be same and so we can offer you custom quote on your project. Simply send us details about your translation project, your source text the required language and we will get back to you quickly with a custom quote!